Latvia Excellence is the exclusive assessment and recognition body for Investors in Excellence in Latvia. 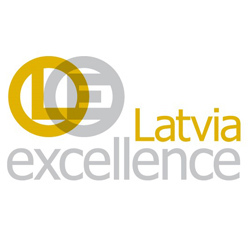 The expert team at Latvia Excellence provide a range of local support to enable organisations to benefit from the Investors in Excellence Standard. 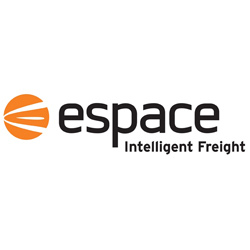 Where an organisation seeks recognition against the Standard, the assessment is undertaken locally and is moderated by IiE’s lead assessors in the UK. At the end of July 2015, Riga Teacher Training and Educational Management Academy (RTTEMA) received the prestigious Investors in Excellence certificate attesting their full compliance with the IiE Standard and thereby acknowledging RTTEMA’s status as an outstanding organisation dedicated to continuous development and growth. 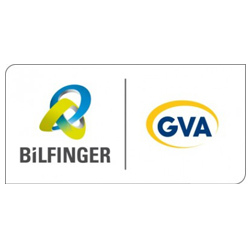 When it comes to the management of RTTEMA, its Principal, Daina Voita, believes the greatest benefits provided by the introduction of the Investors in Excellence Standard are the critical and targeted assessment of the business – including problem analysis – and the mapping out of future plans. The Investors in Excellence Standard has no value with the creation of non-specific development strategies, rather each strategy is expected to be reasonable, feasible, and clear about exactly how results will be achieved. This approach considerably relieves the work undertaken by the management as well as the rest of the staff since, at any given moment, it is clear what must be done to ensure development strategies are implemented and come to life, rather than resting inert on a piece of paper. Furthermore, in the case of any difficulties encountered by the business, the Investors in Excellence approach ensures there are clear steps to overcome any crisis, according to Daina Voita. Thanks to the positive organisational changes which came into effect in the course of implementing the Investors in Excellence Standard, Principal Voita is convinced that, RTTEMA will not only continue to develop and succeed in what is effectively a saturated market, but also the Academy will have a very good chance of becoming the leading Teacher Training University across the Baltic region by 2020. The head of the RTTEMA certification process, Deputy Principal – Organisational Development and Quality Management, Irina Degtjarjova, adds that the positive changes made in strategic management were already in evidence at the start of the certification process, which has allowed her to project the rate of the Academy’s development with no small degree of certainty. As the RTTEMA Deputy Principal – Education Matters, Aivars Stankevičs, notes, these days a university should be perceived as an agent for change, stimulating and promoting not just learning, research, and innovation, but also the creation of the infrastructure which is required to enable knowledge and innovation to happen in and of themselves, and for the benefit of the national economy. A truly modern university model demands excellence and compliance with the requirements of the Investors in Excellence Standard is a solid basis for working towards the achievement of such excellence. By harmonising all the processes across the Academy, it is possible to achieve high academic results, as attested by the outstanding achievements of students and academic staff. Likewise, compliance with the Standard also guarantees that the fundamental principles of RTTEMA’s 2015-2020 development strategy are being put into practice. Globalisation has provided a wealth of opportunities for young people both in terms of potential studies and career development. RTTEMA must be able to compete in this global market by consistently achieving and continuously improving its quality, excellence, stability, and sustainability. And it seems that this is indeed the case, given how keen young people are to dedicate themselves to studying at the Academy and thereby obtain the knowledge and expertise they require to realize their future.